The four-time Milano-Sanremo winner Zabel looked to have victory in hand at the end of the 2004 classic, but he made a simple mistake in the final few meters. The last half century has produced countless amazing moments in pro cycling, and VeloNews has been there for almost all of them. This year we celebrate our 48th birthday. 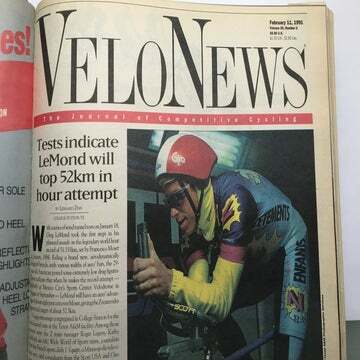 With 48 years worth of archives, we want to present some of the more memorable VeloNews covers, feature stories, and interviews from our past. Our hope is these curated snippets will help motivate you to pursue your passion for the sport you love. In the early 2000s, Erik Zabel was the king of the sprints. A four-time Milano-Sanremo winner and a 12-time Tour de France stage winner, his experience was unmatched in the peloton. (Granted, that record is now tarnished by his admission of doping.) You’d never expect a man who arrived at the 2004 Milano-Sanremo with 125 pro wins to his credit to make a simple rookie mistake. In the sprint to the line on the Via Roma in Sanremo, Zabel posted up too early, celebrating while Oscar Frèire lunged to the line, and to victory. 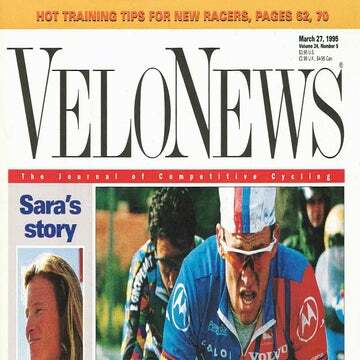 Here is an excerpt from Andrew Hood’s story about Zabel’s blunder in the May 3, 2004 issue of VeloNews. The German sprinter would never win the spring’s first monument classic after that missed opportunity in 2004. Oscar Frèire has the good looks of a movie idol and the fast-twitch flash of a stallion. Twice he has used his finish-line explosiveness to win the rainbow jersey of world champion, but in six seasons as a pro bike racer his road sprinter’s speed was never enough to earn the Spaniard a World Cup victory. But going into the 95th edition of Milan-San Remo on March 20, Rabobank’s Freire, 28, was ready to step into the winner’s circle. Just as ready was Fassa Bortolo’s Alessandro Petacchi, the 29-year-old sprinter who came to Milan-San Remo fresh from an exhilarating season of wins, Petacchi looked like he would be taking his first classics bouquet at Paris-Tours, but the powerful Italian’s legs betrayed him in final approach to the line the wily German Erik Zabel zipped by. Zabel, four times a winner at San Remo. was again looking to thwart the lofty ambitions of Frèire and Petacchi as a 60-strong lead pack thundered into the tunnel-like finishing straight of this season’s opening classic on March 20. All three had survived the rigors of the seven-hour: 294km classic and all three knew Milan-San Remo was within their grasp. Fate and flawless team tactics by Fassa Bortolo seemed to ordain Petacchi as the winner but just when it looked as if his victory were inevitable the Italian’s smooth-running engine suddenly stalled. The ever-steady Zabel, 33, who had won the battle for Petacchi’s wheel, roared past the Italian with a clear shot to the line. 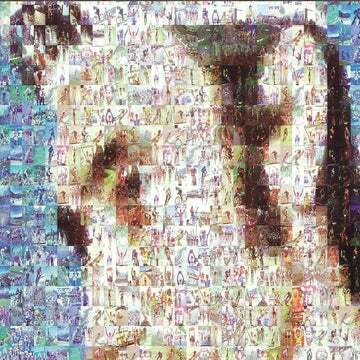 Sure that he was about to win La Primavera for the fifth time in eight years. the veteran T-Mobile rider sprung his fingers to the heavens. It was a rookie mistake. Too late to correct his error Zabel saw a blur of Rabobank orange to his right. Freire was throwing his bike at the line like a matador going in for the kill. The photo-finish tape showed that the Spaniard had taken the win by 17cm, about 6 inches.